I absolutely love meatloaf. I love making it almost as much as I love eating it. There is something so simple and satisfying about throwing a bunch of ingredients together, kneading them with your hands, pressing them into a pan and having a complete dinner ready to go. Obviously, the best part is that meatloaf tastes amazing even though it is so easy to make. Preparing and planning dinner really doesn’t get any easier than that! 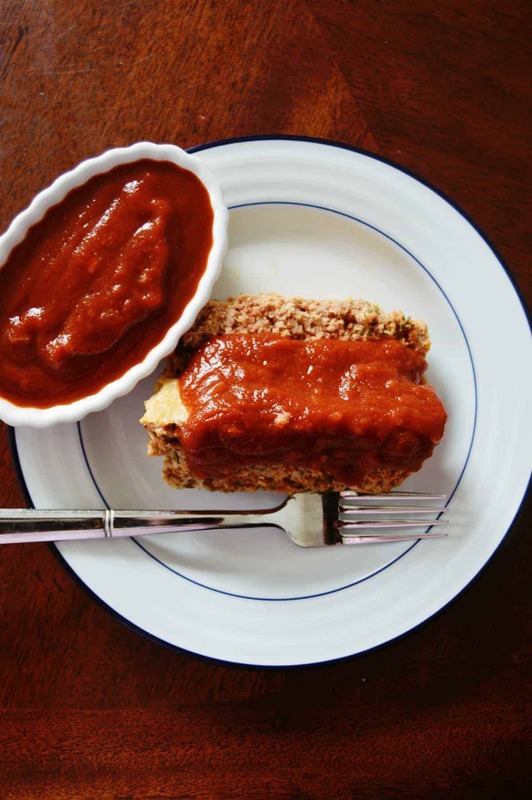 The only problem with meatloaf is that it typically contains some kind of breading which is used as a binder to hold the meatloaf together (so that you don’t have meat mush!). As we all know, breading means carbs…not good. So with this turkey meatloaf recipe, we skip the breading. But how do we make the meatloaf not fall apart?? Simple- more egg! In this recipe, extra eggs in the mix will hold the meatloaf together. Don’t worry though, the final product won’t taste eggy or any different at all. In fact, I bet you won’t even notice the missing breading! Who needs bread anyway! Eggs are the way to go! What about other carbs that are usually in meatloaf? You may be surprised to find out that many recipes add sugar or molasses to the mix. While these give the meatloaf a sweeter taste, they are totally not necessary. This recipe gives you the option of using stevia or just leaving it out completely! I opt to skip any sweetener at all. Meatloaf should be savory so why add sugar anyway? 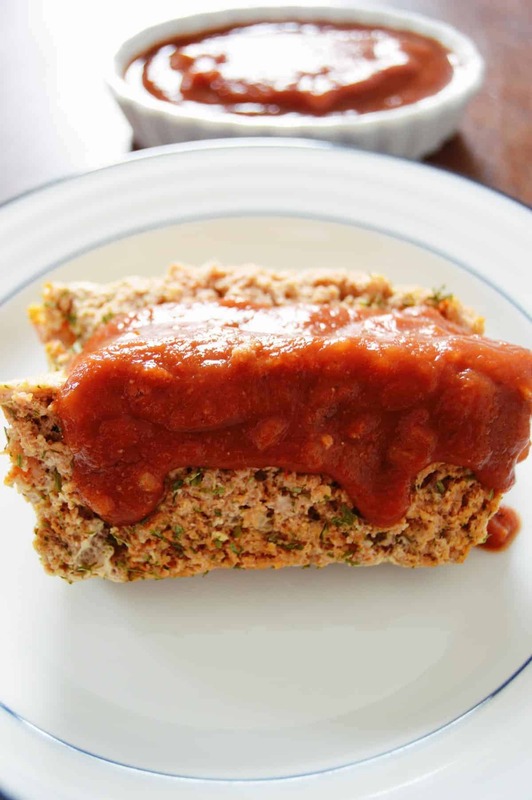 While I like to use turkey in meatloaf since it is leaner and just a little different than a typical meatloaf, you can easily substitute ground beef or even ground chicken if you prefer. All you have to do its use the same quantity of ground meat and you’ll be good to go. The versatility of this meatloaf is just amazing! 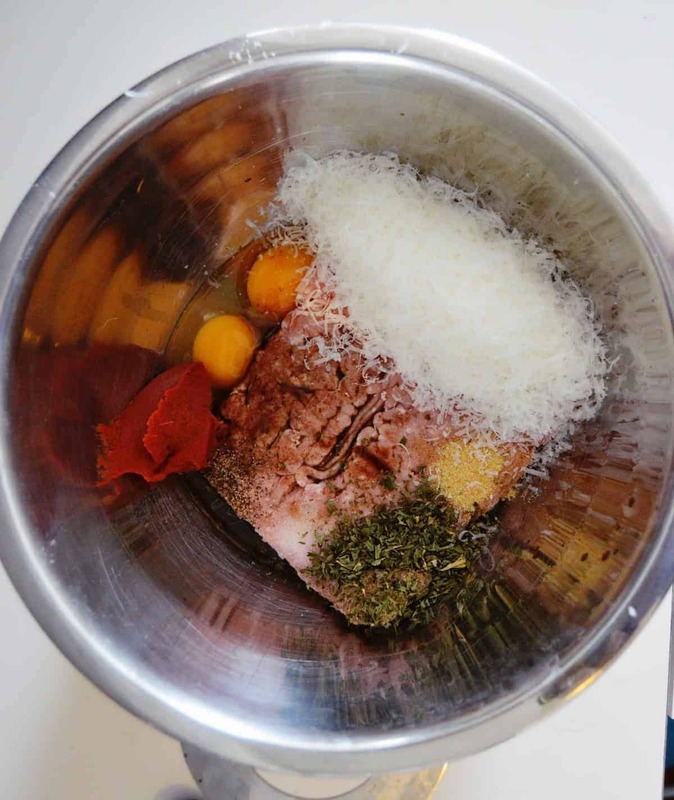 The last little tip I have for you when making this meatloaf is to pair it with a tasty sauce. I like barbecue sauce (low carb, of course!) but you can try any variety you prefer. Then again, you really won’t need a sauce as this meatloaf is juicy, flavorful and ready to eat immediately out of the oven. What could be better than that! 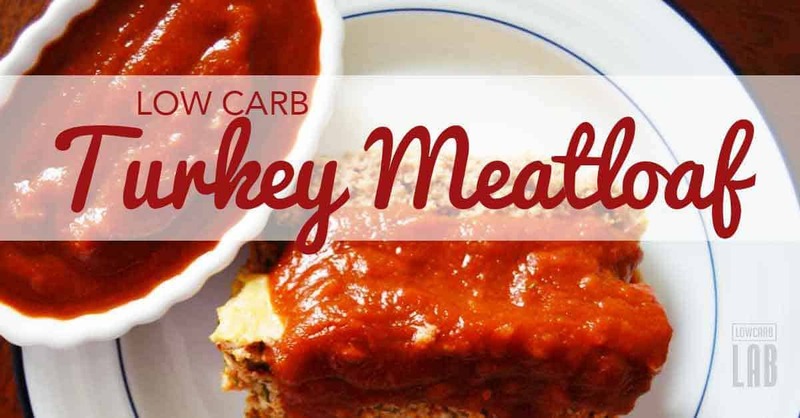 So grab that loaf pan and get ready to make a delicious, low carb meatloaf that you will want to replicate again and again. 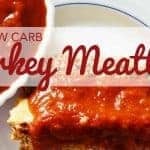 Carbs in meatloaf? None of them are needed. Goodbye carbs! 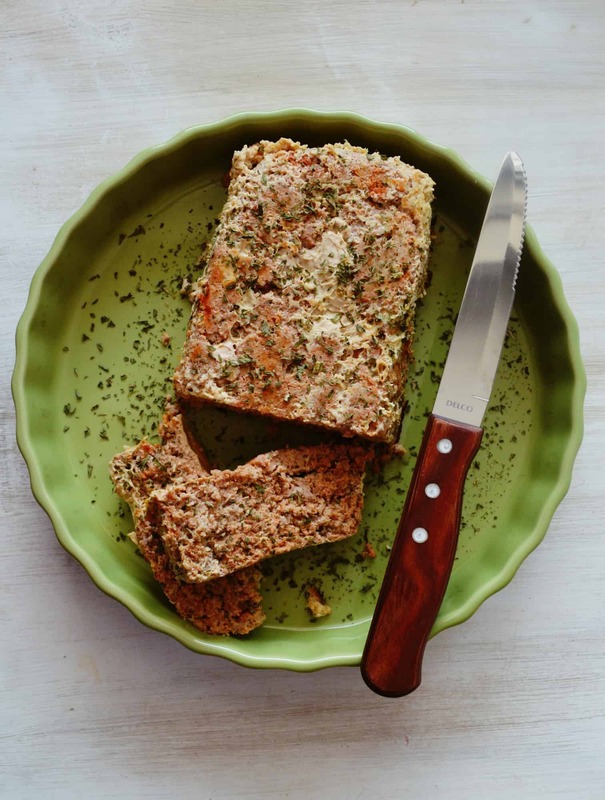 Also, read the best 50 paleo meatloaf recipes I have found. In a large bowl, mix all of he ingredients together. It is easy to use your hands to ensure that everything is mixed well. 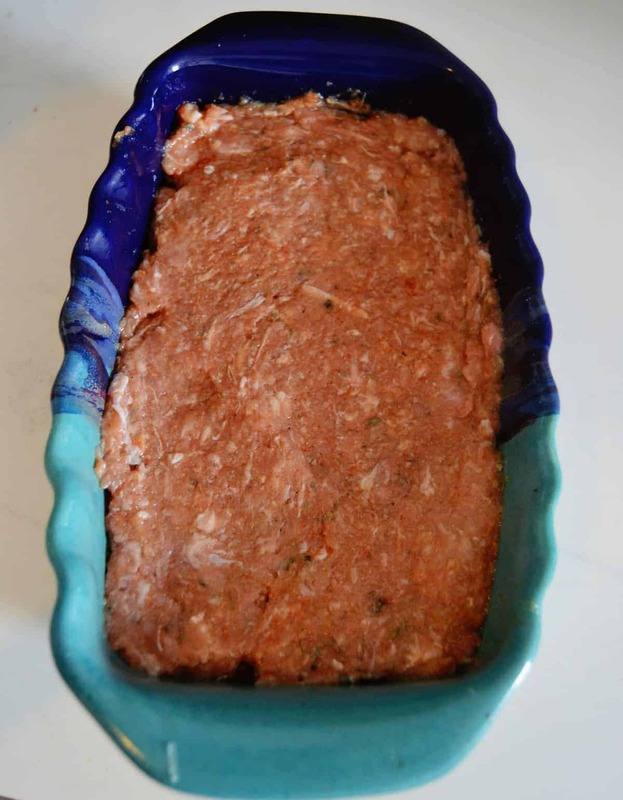 Bake the meatloaf for 40-50 minutes or until the juices run clear. Let the meatloaf cool for 10 minutes and then flip out of the loaf pan onto a plate and serve or slice pieces out of the loaf pan directly and serve.